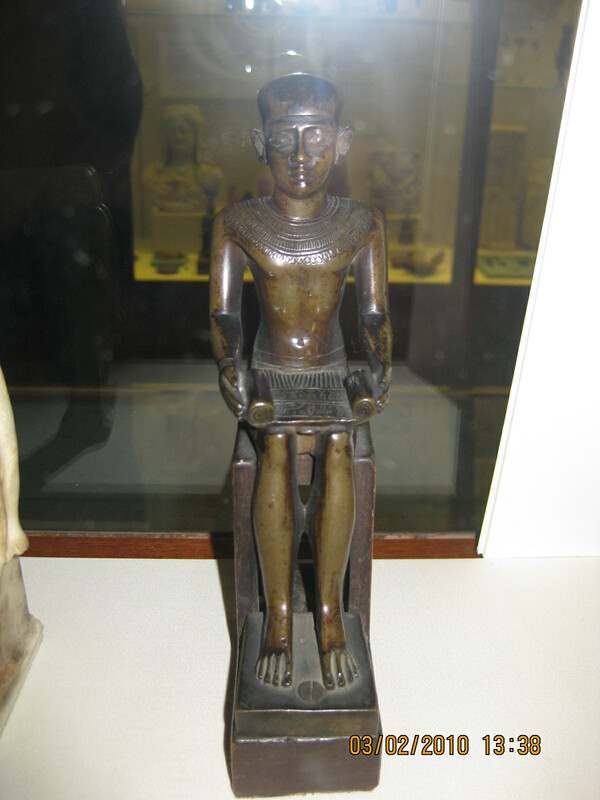 A commoner by birth, Imhotep, ‘the one who comes in peace’, rose through the ranks due to talent and dedication. He was, by turns, high priest of Ptah, chancellor and vizier to the Pharaoh, and high priest of the sun god Ra at Heliopolis. He was revered as a genius and showered with titles. He designed the ‘Step’ Pyramid of Djoser at Saqqara in Egypt, built for Pharaoh Djoser I. It became an architectural template for all subsequent Egyptian spiritual edifices. More than a mere tomb, it contained temples, pavilions, chapels, halls and storerooms. His blueprint included fluted columns that were joined to the limestone wall, making him responsible for the first known use of columns in architecture. He is also credited with being the founder of Egyptian medicine and author of one of the oldest extant medical texts in which he itemised cures, ailments and anatomical observations, which may have been discovered 1,000 years before him. He was the only man in history to be acknowledged on the footstone of a king. In classical antiquity he was widely considered the inventor of healing. The Greeks made him a god of medicine and healing.